US-listed ETFS are the most tax-efficient way to invest in foreign equities within your RRSP account. The funds also tend to have lower annual fees than Canadian-listed ETFs. However, they must be bought and sold in US dollars, and if you have to exchange your Canadian dollars for greenbacks, it can be extremely costly. Many discount brokerages charge about 1.5% – or a whopping $150 on a $10,000 conversion. If you’re going to use US-listed ETFs, you need to find a way to mitigate these high costs. If you need to convert loonies to US dollars, I’ll show you a technique that can save you hundreds of dollars per transaction. At RBC Direct Investing, there is no need to even pick up the phone: the entire process can be completed online. The simplest way to do Norbert’s gambit is with the Horizons US Dollar Currency ETF. This ETF – which is equivalent to holding US cash – is available in two versions. Both trade on the TSX, but the first, with the ticker symbol DLR, is bought and sold in Canadian dollars, while the second, DLR.U, trades in US dollars. You can use these ETFs to exchange Canadian dollars for US dollars and then use the proceeds to buy US-listed ETFs. Norbert’s gambit can be confusing, so I’ve put together a video tutorial that you can follow along with. For more information on this strategy, please refer to our white paper. It is now January 12 2019, so a year has gone by. Any changes to the Norbert’s Gambit Strategy of note with RBC DI? @Ernst Vahlbruch: Not that I am aware of. Thanks J Bender! Great instructions, great graphics with a soothing voice! Keep up the good work :). I want to inquire whether you will be planning to do a video on executing Norbert’s Gambit at Scotia iTrade, since they now have the option for a USD side in an RRSP account that is more desirable than their previous “US-friendly RRSP”. If there is no video planned specifically for the iTrade platform, could you please note which other platform it is closest to for being able to execute NG successfully? @Amanda: I haven’t tried out Norbert’s gambit at Scotia iTRADE yet, but when I do, I’ll be certain to put together a video tutorial for it. I unfortunately do not have any additional information at this time regarding the exact process. Hi Justin, do you know why some brokerages allow for instant journalling while others require us to wait for the trade to settle first? @Jonathan L: No, I don’t know why some brokerages do things one way, and other brokerage do things in a different way. Great blog and tutorials Justin! I recently converted US to CAD in non-registered RBC DI account, following the tutorial. One day past the settlement dates I still had the separate transactions so I called the support. What they told me was that in order to do the Norbert’s gambit you have to call ask them to journal the trades. They did so and it was all ok. It might be a new DI policy, they changed a lot of things recently. @Toni: Thanks for the heads up! 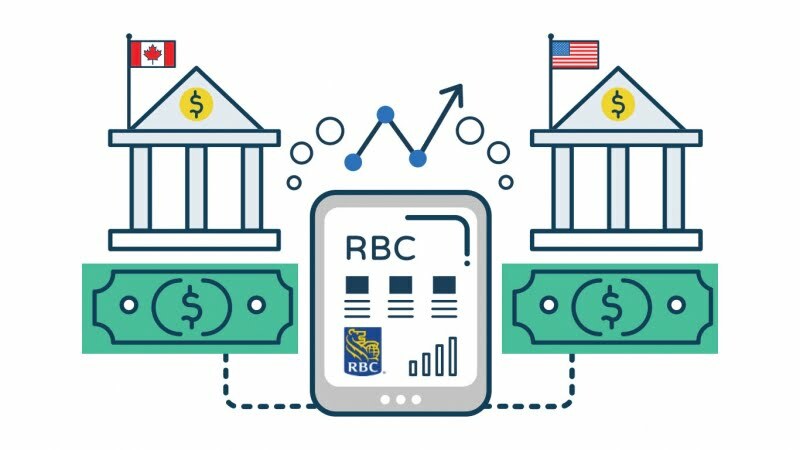 Keep an eye on your RBC account…they may try to charge you debit interest (if they do, you can just call them back and ask them to reimburse your account). Is the procedure you explained in this tutorial any different if I am doing NG in a non-registered account? I tried to do NG with RBC Direct Investing this morning in my cash investment account. My order to purchase DLR got filled. But the following order to sell DRL.U got rejected with message “We are unable to process this order as there were insufficient holdings in your account…” . I have verified that I have selected the USD side of the same account, and entered the exact number of shares I had purchased. Have you experienced such an issue with RBC DI? @JamesB: I’ve never had this issue in the past, but I haven’t recently tried a gambit in an RBC Direct Investing non-registered account. Are you trying to do this in an RBC DI practice account? (if so, it won’t work there). Thanks Justin for your response. I was doing it in my actual account that I had just opened. I got worried as I was dealing with a large amount. I gave RBC DI a call and they sorted out, still not sure what I was doing wrong. My subsequent NG trades went smoothly and my portfolio is all setup now. Also confirmed with RBC DI that we don’t have to wait until settlement date (T + 2 days) to use the converted funds to place new trades, but have to wait if you wanted to transfer funds out of your DI account (e.g. to your bank account). I can’t thank you enough for all the effort you put in these articles to help us DIY investors! Any chance you can make this same exact using rbc direct investing converting USD–CAD ? Also is in this video you don’t mention the settlement dates? are the trade settlements done in real-time ? @John Smith: I have no plans to make a video for converting USD to CAD at RBC Direct Investing (the process is just the opposite to my posted video: buy DLR.U in the USD account, sell DLR in the CAD account). All of the trades can be completed on the same trade date (as long as there are no holidays between the trade date and settlement date that differ for the US and Canadian stock markets – this caveat is only relevant if you are buying/selling US-listed ETFs on the same trade date). Hi Justin, thanks for the great video. Considering there would be a ~$10 fee to buy and another to the sell the ETF (~$20 total), what would be the minimum amount of money that you would suggest converting before using Norbert’s gambit? $2000? Thanks again for the video, very useful. @Maximus: I would generally recommend a minimum conversion amount of between $5,000 and $10,000 CAD. With these minimums, the additional trading commissions and bid/ask spreads should be offset by the reduced foreign withholding taxes and expense ratios within 1-2 years. @Justin: Thanks again for the advice. Much appreciated. Can this also be done in non-registered cash accounts (US and Canadian) or does it have to be in RRSPs? I live in Canada but earn my income in US dollars it might be cheaper to convert my money this way than with a foreign exchange service like Knightsbridge. @Kyle: To convert USD to CAD in a taxable account, the process would be very similar. In this case, you would buy DLR.U with your US dollars on the US-dollar side of your non-registered account, and sell DLR on the Canadian-dollar side of your non-registered account. Hi Justin, just another thought. Would there be tax implications here? Would the bank indicate I’ve earned a profit from selling DLR? @Kyle: You would need to obtain the Canadian dollar cost of purchasing DLR.U (generally, you can use the Bank of Canada FX rate available on the settlement date of the trade), and subtract this amount from the Canadian dollar proceeds from selling DLR. The banks usually calculate this gain/loss incorrectly, so you will be required to manually do so. Will there be video tutorials about Norbert’s Gambit for TD Direct Investing and other banks? I sure will do !